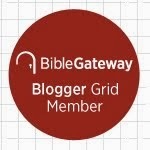 Biblioblogs and Twitter have had many announcements and prayers for Fr. Jerome Murphy-O’Connor, who died earlier this week. 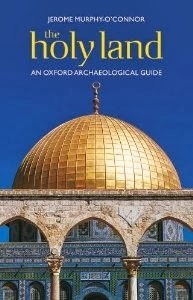 Although he was, of course, a great New Testament scholar, he is really best known for his travel guide, The Holy Land: An Oxford Archaeological Guide. ...[the guides] are not critical, so they will tend to buy into the lowest common denominator. 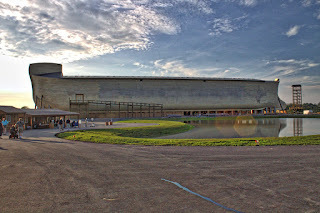 They will say at a site, “Well tradition says...,” or, “It is perhaps thought...” Well, normally you can determine pretty easily what level of probability is attached to information. Like, there is no doubt at all about the Holy Sepulcher or about the Church of the Nativity. There is every doubt in the world attached to the little Chapel of the Ascension on the Mount of Olives. One is almost a 100% certain, the other has zero chance of being correct. And so it’s like that, but that’s why I think they should do a little more homework." We were fortunate to be able to go to Israel again, and even more so because we briefly meet Fr. Jerome on that same trip while visiting a friend at Ecole Biblique. If you go to Israel, without question, 100%, absolutely, Fr. Jerome’s The Holy Land is the guide to take with you.